Avoid rust and damage of your roof! Maintain the tin roof by painting it to prevent corrosion in time. A well-executed painted roof makes it both durable and beautiful. How do I protect my metal roof from rusting? Actually, the answer to the above question is very simple. 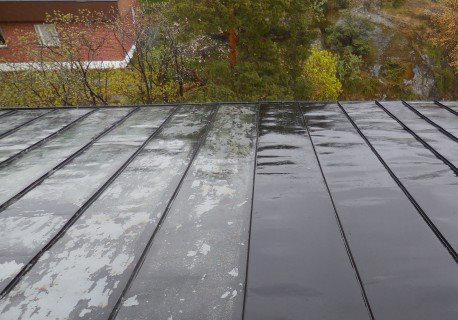 When roofing protective paint starts to flake off or is broken it is time to repaint their tin roofs. Corrosion breaks down the roof, which eventually will inevitably lead to water damage and high costs. Roof painting should therefore be carried out before the corrosion is a fact.